Judging contest results, show winners, happenings around the grounds, and so much more are coming your way from Hoard’s Dairyman. The air is cooling, the leaves are starting to change, and it’s getting darker earlier and earlier. Some might say these are signs of fall, but dairy industry enthusiasts know it means one thing — Expo. Hoard’s Dairyman has been covering World Dairy Expo since its very first year, and we are in our 10th year of keeping our readers abreast of all the Expo happenings via our Hoard’s @ Expo blog and social media channels. 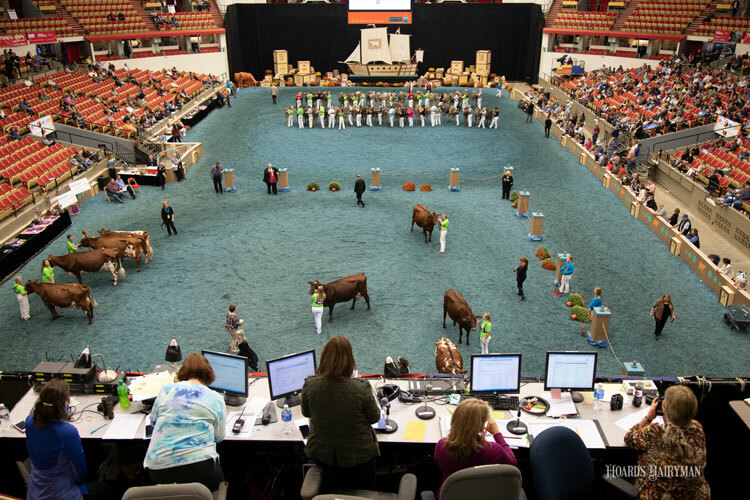 As in years past, enthusiasts who can’t make it to Expo can stay tuned in to both information channels to find judging contest results, trade show information, and show results. Additionally, we will be covering some events and activities that are new or being reintroduced. Those include the re-imagined railbird contest, the new Supreme Junior Champion award on Saturday, and the first ever Showmanship Clinic held on Monday. We look forward to seeing you at Expo or interacting with you on our social media platforms. If you can’t physically be where the dairy world meets, we hope you can at least tap into it via our coverage.